NEWLY REVISED with an Intro by Michael Connelly Was it murder, accident, or suicide? A baffling case. A brilliant detective. 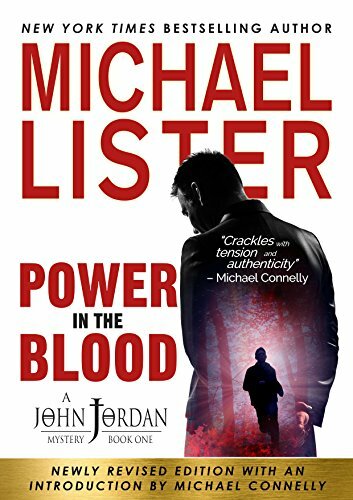 A conflicted ex-cop who now wears a clerical collar investigates baffling cases of murder in these beloved, acclaimed, and bestselling suspenseful mysteries by New York Times Bestselling and award-winning author Michael Lister. Ex-cop John Jordan, now a prison chaplain in the Florida Panhandle, witnesses the bloody death of Potter Correctional Institution inmate Ike Johnson. But what exactly did he witness? Murder, accident, or suicide? Jordan discovers that in the closed society of captives and captors no act goes unseen, and no one takes kindly to a cop in a collar. He soon finds his reputation, his career, and even his life are at stake.